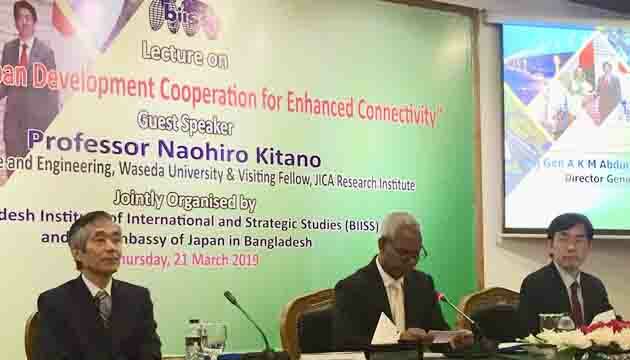 Embassy of Japan in Bangladesh and BIISS (Bangladesh Institute of International and Strategic Studies) jointly organized a special lecture titled “Japan-Bangladesh Development Cooperation for enhanced Connectivity” at BIISS auditorium. Guest lecturer from Japan, Professor Naohiro Kitano of the Global Center for Science and Engineering, Waseda University (former Director, JICA Research Institute) introduced Japan’s recent engagements in the field of Official Development Assistance (ODA) overseas. Mr. MD. Shahidul Haque, Foreign Secretary and more than one hundred people including government officials, university professors and experts attended the lecture. 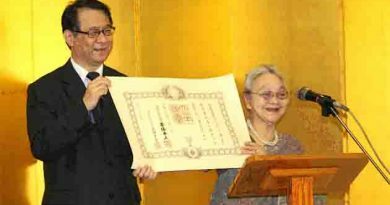 Professor Kitano focused on the Japanese model for development cooperation, explaining its feature as ‘Long term commitment with trust’ that can benefit the people in the recipient country through its inclusive approach and human resource development. 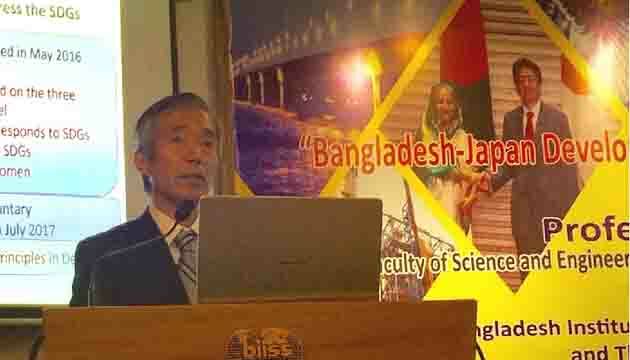 He also focused on the way how Japanese ODA has been facilitating the physical, institutional and people-to-people connectivity, referring to the recent ODA projects in Bangladesh such as BIG-B initiative. 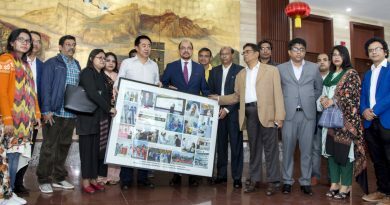 The BIG-B initiative is a japan-led development plan to accelerate industrial agglomeration along the Dhaka-Chittagong-Cox’s Bazar belt area and beyond, encompassing developing economic infrastructure, improving investment environment and fostering connectivity. This projects under this initiative include the construction of ultra-super critical coal fired power plant and a new commercial port in Matarbari. 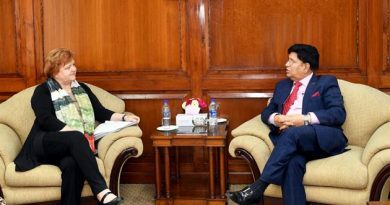 ← Bangladesh underscores the importance of South-South Cooperation in the implementation of the 2030 Agenda– Foreign Minister Dr. A. K. Abdul Momen.